BIODIVERSIVIST: Is smaller better for nuclear energy? Michael Shellenberger, co-founder of the Breakthrough Institute and founder of Environmental Progress. Ted Nordhaus, co-founder and executive director of the Breakthrough Institute. Jessica Lovering, director of energy at the Breakthrough Institute. Third Way strives to be a centrist organization, which I think is a great idea. I've always seen myself as a centrist. Why the executive director and director of energy of the Breakthrough Institute are writing articles for Third Way is a mystery to me. But of course, nobody sits exactly in the middle. I'd put their push for new nuclear technology toward the right. Shellenberger's idea of a single nuclear power station provider for the West is way to the left. Shellenberger's idea of a single nuclear power station provider for the West will never fly (no pun intended). Research by entrepreneurs for better nuclear power stations should accelerate and receive far more subsidy from government. 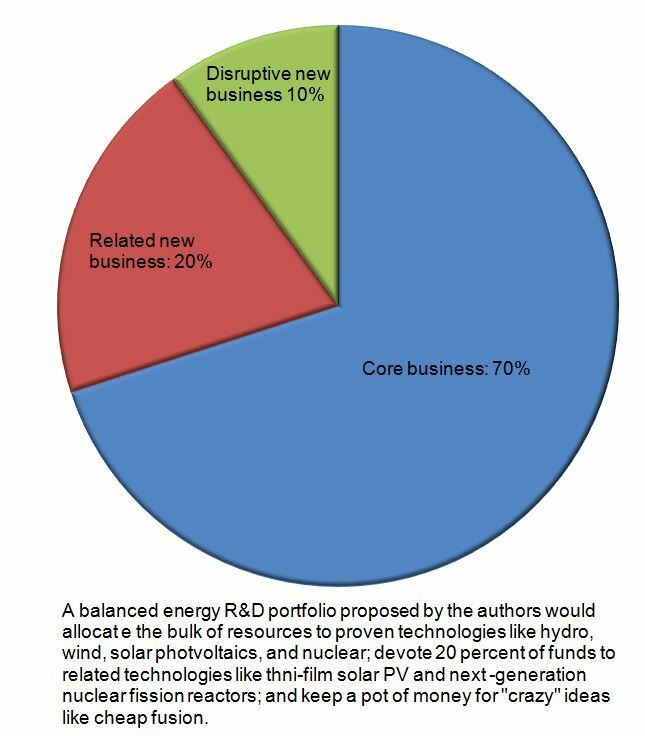 Read Google Engineers Conclude that Renewable Energy Will Not Result in Significant Emissions Reductions. Conventional nuclear power station technology is more than safe enough already. Conventional nuclear power station costs can be dramatically reduced by the simple act of flattening the learning curve by building lots of the same designs as countries have proven in the past and South Korea is proving at present. Because the antinuclear scaremongering profit machine will not stop just because new designs come along, a serious effort needs to be made to teach the public that nuclear power stations, like vaccines, are safe. Companies that don't continue to design and build a given product, lose the ability to build it over time as experienced engineers retire or move on. There has to be a continuity of design within a company or it will have to reinvent the wheel for new projects. This is as true for nuclear power stations as it is for airliners. Most of the Western companies have built so few nuclear power stations in the last decades that they are for the most part having to reinvent the wheel. To make matters worse, the government regulatory body here in the United States does not hesitate to change design requirements in the middle of a project. If such a thing happened to any Boeing aircraft, it would likely fail to be commercially viable. There was a time in Boeing’s history where the company risked losing the ability to design airliners. The SST program had been cancelled and massive layoffs occurred (airbus went on to build their SST which lost money on every flight for many decades). There were a lot of older, experienced, engineers but few young engineers to take their place. Bill Nye (who gravitated straight to the film department before leaving the company within a year or two) and I were hired out of engineering schools as part of the effort to replace the older generation before it was too late. Over their careers, this generation of engineers designed the 747, 757, and 767. Boeing called them the “incredibles.” But many had already retired by time the 777 came along. Boeing asked them to come back and write manuals describing in detail how they had performed their respective engineering assignments over the years. They formally passed on their tribal knowledge to the next generation allowing us to design the 777 (a major engineering success story) and every plane since then. Will the West regain the ability to compete in the nuclear power station market? Maybe, maybe not. The day may come when Boeing and Airbus are defeated by other companies around the world as they defeated Lockheed and McDonald Douglas, but that certainly would not be the end of airline travel. It would likely mean cheaper airline travel. ... playing a fiddle while Rome burns (bring on the fiddle analogies).